Manoli Savvenas was one of many international stars who utilized his heritage to help get over with wrestling fans. As Mike Pappas, he worked as “The Flying Greek,” entertaining fans from 1968 to 1978. In 1979, Pappas’ switched gears and began work as a jeweler, becoming a successful entrepreneur and philanthropist. Manoli Savvenas was born in Greece and lived on the island of Rhodes. Savvenas lived with six siblings and in a 2017 interview, recalled his childhood in post-World War Two Greece, “We didn’t have running water. Or electricity. We didn’t have a TV or radio. But we felt rich, because we relied on each other,” (Moore). Savvenas’ mother had him learn a trade when he was 11 with the young man stepping into the jewelry trade. When he was 16, Savvenas took up boxing, something his mother begged him to get out of. Savvenas’ passion for the sweet science took him to Australia where he continued honing his pugilistic skills. 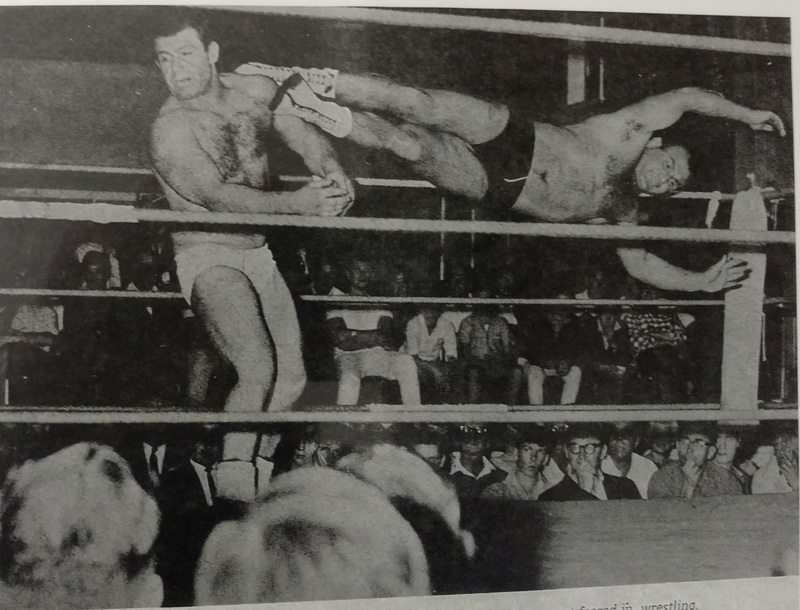 While in Australia, Savvenas was approached by a Greek police captain who thought Savvenas was a natural for professional wrestling. Savvenas wanted nothing to do with wrestling, but eventually gave in, learning amateur wrestling then professional wrestling. Savvenas worked a few matches in Australia and met several American wrestlers, leading to Savvenas’ desire to work in the United States. Savvenas wanted to travel to America but was turned down by Greece’s military government several times. When Savvenas’ sister got engaged, Savvenas was able to obtain a visa under the proviso he return to Greece. Savvenas traveled to America and focused on breaking into professional wrestling. However, Savvenas’ small size hindered him from getting a job in New York. However, New York’s wrestling community helped him find work in Mexico where Savvenas became known as Mike Pappas, “The Flying Greek.” Pappas returned to Greece as promised; then embarked on an international campaign including runs in Australia and the United States. Mike Pappas worked in the WWWF as enhancement talent and campaigned in several territories including Nick Gulas’ Nashville promotion, Oklahoma, Kansas City, and Knoxville. Along the way, Pappas had his share of wins, including a 3-0-1 record against Randy Savage during “The Macho Man’s” early days in the ring. After Pappas married and began a family, his priorities changed. By then, the wrestling business was slowing down and he was tired of the constant travel involved with the business. Pappas retired in 1978 and began working as a jewelry repairman, using the skills he’d learned as a young man in Greece. In a 2016 interview he remembered the early days of his second career, “”I went there with only $200 in my pocket. The shop wasn’t doing well and was ready to close. I eventually closed the shop and converted it to a retail jewelry store” (Teal). Manoli’s hard work paid off and in 1985, he opened his own business—Manoli’s Jewelers, located in Springfield, Missouri. The business thrived and continues to do so today. Savvenas’ life experiences created a heart for the underprivileged. In 2002, he and his wife Valerie started “Diamond Night,” an event that benefits Boys and Girls Town. The couple also started the Greek Festival in 2008, which helps the St. Thomas the Apostle Orthodox Church in Springfield MO. The former Mike Pappas also helps military families through his charitable work, showing his dedication to the community. Manoli Savvenas is a classic example of how an individual’s desire to succeed can help them in whatever field they pursue. Savvenas’ post-wrestling career proves there can be life after wrestling if a person perseveres in a new career. Moore, Jennifer. “Humans of the Ozarks: ‘I like the Ozarks. I’m the Greek hillbilly now.’” Springfield News Leader. 8 Jan. 2017. http://www.news-leader.com/story/news/local/ozarks/2017/01/08/like-ozarks-m-greek-hillbilly-now/96003392. Accessed 3 Jan. 2018. Teal, Scott. “Mike Pappas’ wrestling days lead to a sparkling second career.” SLAM! Sports. SLAM! Wrestling. 3 Apr. 2016. http://slam.canoe.com/Slam/Wrestling/2017/10/03/22756440.html. Accessed 3 Jan. 2018. “About Us.” Manoli’s Jewelers. https://manolisjewelers.com/#about. Accessed 3 Jan. 2018. “Mike Pappas.” Online World of Wrestling. Professional Wrestler Profiles. 28 Apr. 2014. http://www.onlineworldofwrestling.com/bios/m/mike-pappas. Accessed 3 Jan. 2018.